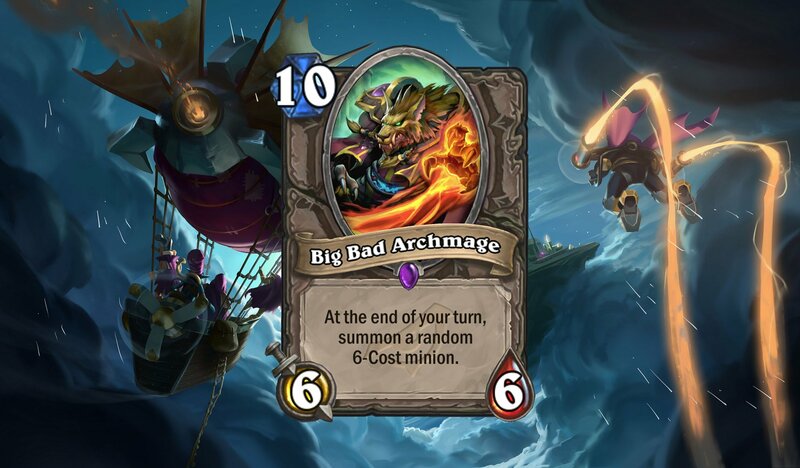 Hearthstone's villains have united for Rise of Shadows and Shacknews continues breaks down each card leading up to its April release. Today, the Druid unveils its big wall. 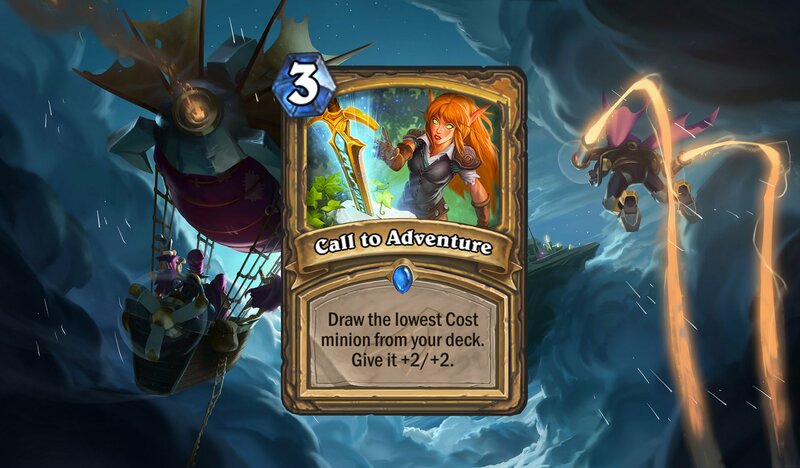 Hearthstone is heading into its fifth year and Blizzard has revealed what's next for its digital card game. The Year of the Raven is about to end, while the Year of the Dragon is about to begin. The new Standard year will officially begin with the arrival of 2019's first expansion, Rise of Shadows, and that means a whole new set of cards are about to take Hearthstone into a brave new world. Summon two 1/2 Dryads with Lifesteal. Whenever you restore Health, add a random Druid spell to your hand. Analysis: With Tars revealing both of these cards simultaneously, let's break them both down at once. 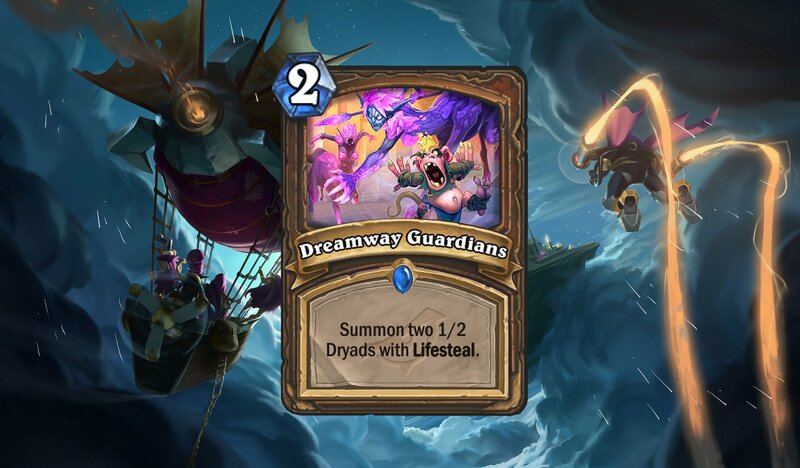 Dreamway Guardians is a high-value Turn 2 play, adding two minions to the board. For Token Druids looking to get multiple minions on the board at once to set up a killer Savage Roar play, this is an outstanding tempo play. 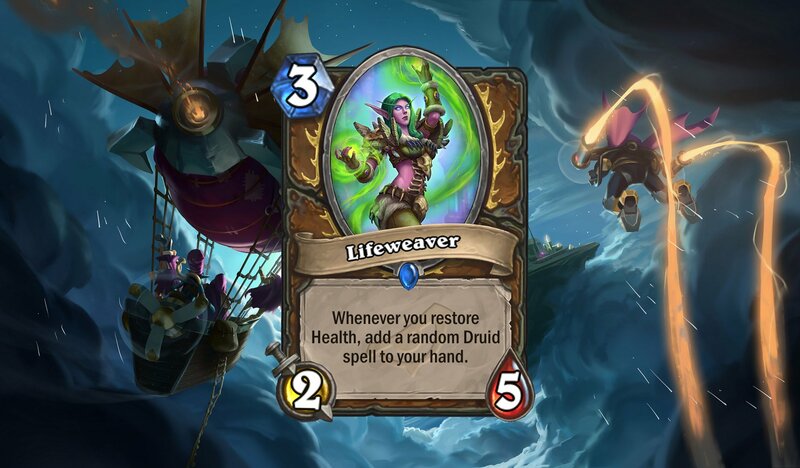 It's made all the better by the Turn 3 Lifeweaver, which presumably takes advantage of either of the Lifesteal Dryads' attacks to add Health and generate at least one random Druid spell. The Druid is getting a slew of health restoration tools and this doesn't even go into the existing ones already available, like Voodoo Doctor or Rotten Applebaum. If the Heal Druid is indeed a new archetype, these two cards will be at the centerpiece. Existing Token Druids will, at the very least, get great use out of the Dreamway Guardians. Analysis: Hey, you might have heard of this guy. He's the Legendary you got for absolutely free, just for logging into Hearthstone. Such an occasion merits a completely separate entry, so be sure to check out our Guide to Archmage Vargoth. Analysis: This is a Legendary that seems really cool on the surface and, yes, it might be very useful. But it's also one where it's easy to bite off more than you can chew. If you're not careful, you might get too much value out of this card. What that means is, combining Tak with something like Academic Espionage will easily overflow your hand. So don't go and mill yourself. Having said that, this goes beautifully with Pogo-Hopper Rogues. If you don't have the patience to play Togwaggle's Scheme and wait to draw those Pogo-Hoppers, simply play Tak before using your Togwaggle's Scheme. You'll get Pogo-Hoppers in your deck and in your hand, which means you can make overwhelming Pogos in no time. Beware of the Pogo-Hopper Rogue next expansion. It now has the tools to be incredibly strong. Twinspell: Cast a random Paladin Secret. Analysis: Blizzard is doing its darndest to make Secret Paladin a thing again. And whether it has the firepower to hold up in the Standard game remains to be seen. I'm personally no fan of the Standard Paladin Secrets. 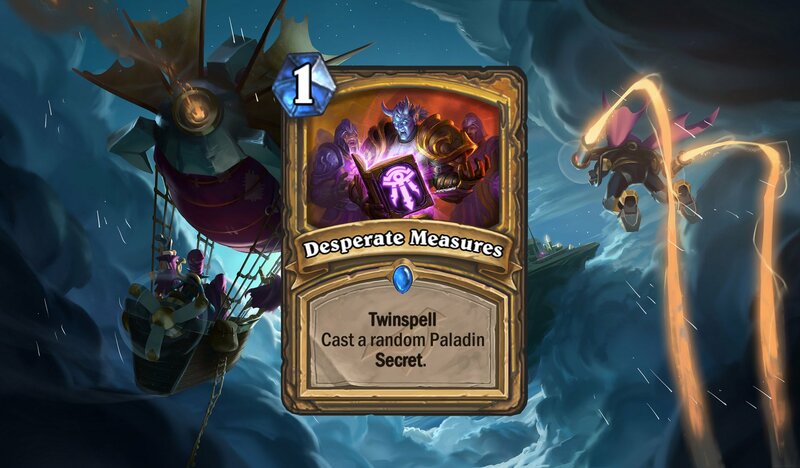 I don't think they have the longevity to hold up in the late game, but Desperate Measures will certainly try and help the Paladin player hold up in the early turns. Wild Paladins still running the old Secret Paladin chestnuts, like Avenge and Mysterious Challenger might find a good spot in their deck for Desperate Measures, especially as they try and hold their own potent Secrets for the later game. Analysis: It's an all-new 10-drop and like many 10 drops, it's hard to imagine players packing him into a deck. That's especially the case when it comes to its effect of dropping 6-Cost minions at the end of each turn. With random 6-Costs, you're just as likely to pull a dud as you are to pull a Cairne Bloodhoof. The Archmage's debilitating cost will be enough to steer many away from him. However, he'll be a solid pull from a random effect. Arena players might want to think about him, but he'll be a risky gamble. Draw the lowest Cost minion from your deck. Give it +2/+2. Analysis: This is arguably a much stronger spell iteration of the Witchwood Piper effect. But rather than just draw it, it'll also buff it. That means it'll fit nicely into any Paladin deck packing Immortal Prelate, since it'll keep that +2/+2 buff for the rest of the game. It'll also be a reliable and slightly cheaper way to pull out Baleful Banker, for any decks that are packing the Shirvallah, the Tiger/Holy Wrath OTK whammy. Analysis: This is arguably the Rogue's strongest 2-Cost minion to date, albeit not necessarily for the Standard Rogue. Because Hallucination is set to rotate out, there's no Turn 1 play for the Rogue to pick up a card from the opposing deck. That will likely change in the forthcoming expansions, but for now, this is an enticing Turn 2 play that sadly won't be able to be maximized in Standard until later. Wild Rogues, on the other hand, are welcome to go nuts. Turn 1 Swashburglar means there's a 3/4 with Rush coming on Turn 2. That's just plain bonkers. 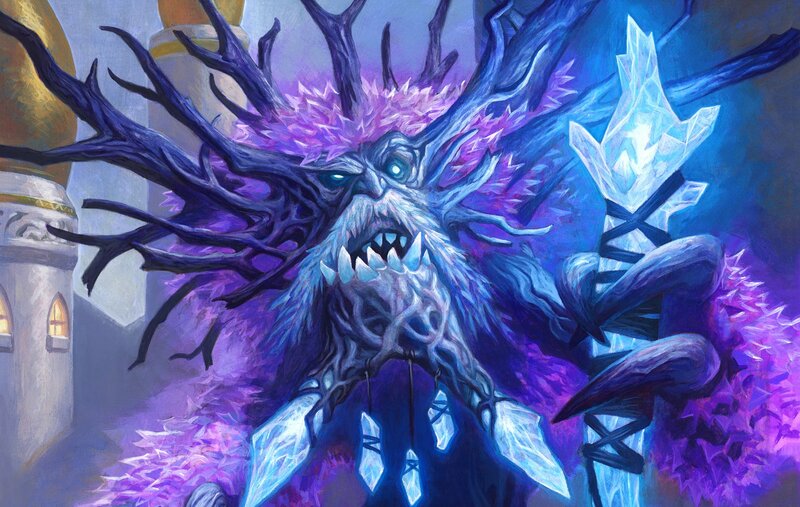 Analysis: The Healing Druid's cards have all led to this big guy. Lucentbark is a costly play at Turn 8 for mediocre 4/8 stats. But the prospect of being able to resurrect him over and over again and force the opponent to keep plowing through 4/8 walls is an enticing one. As long as the Druid has healing spells at the ready, Lucentbark won't be able to be stopped, outside of a Silence effect. If you can Baleful Banker this guy on Turn 10 to have a second Lucentbark at the ready, it could be tough to beat. It'll last as long as the Druid's healing spells do, so if you're playing against it, watch out for Keeper Stelladris and his ability to generate more spells. 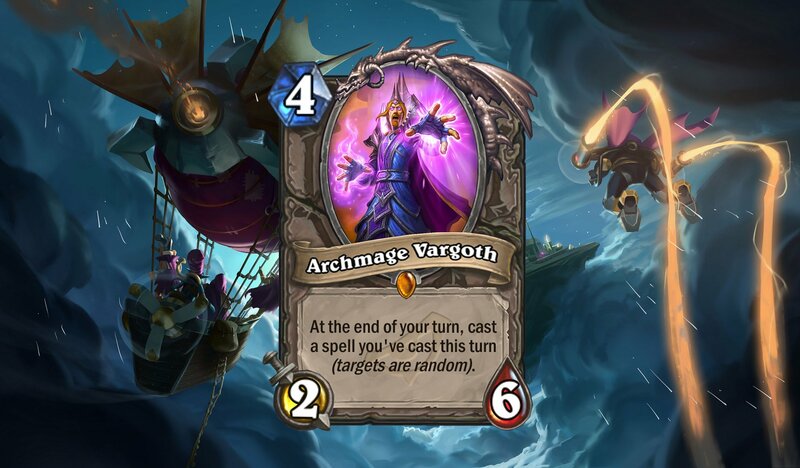 Wild Druids, have some Moonglade Portals handy, because that's suddenly a much better card. We're in the home stretch! Shacknews will continue to monitor cards and analyze them in the lead-up to the next big Hearthstone expansion, with another batch coming tomorrow and the big Lightning Round coming on Monday.Hearthstone: Rise of Shadows is set to release this Tuesday, April 9.